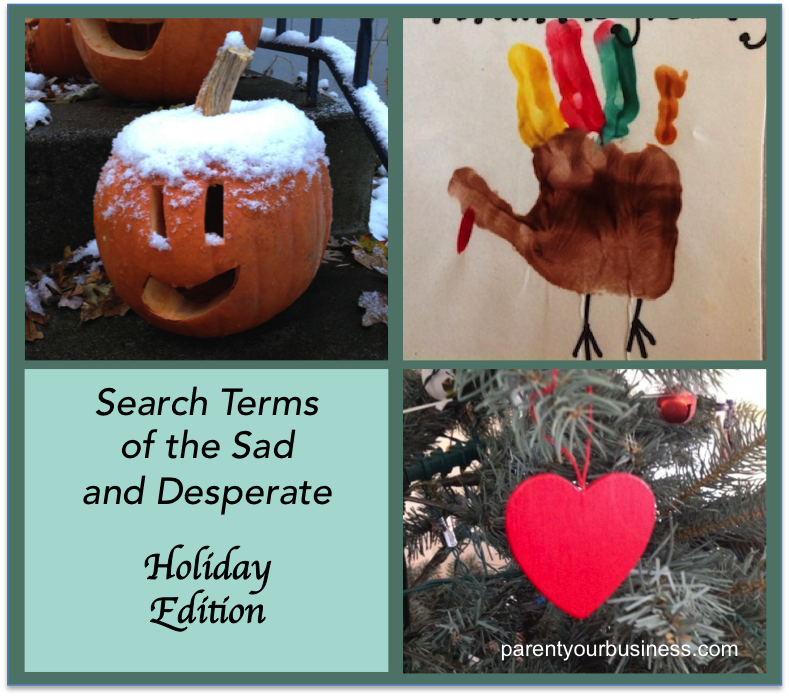 This entry was posted in Family, Family life, Holidays, Parenting and tagged advice, funny search terms, Halloween, holidays, humor, kids by Sarah Day. Bookmark the permalink. My favorite part? Your disclaimer! HA! Love the disclaimer. Oh…and I don’t hate Halloween, but I’m rather indifferent. I do HATE carving pumpkins though…I haven’t done that in a couple of years, and still feel mother guilt about it. Sigh. I make my husband carve any and all pumpkins. I figure it’s the least he can do. This was the first year no one in the family asked me to drag out all the Halloween decorations. I did not volunteer. Neighbors who hand out beer is awesome. I had a two trick-or-treaters this year who were wearing masks, but I’m almost sure they were full grown (albeit somewhat short) grown ups. I gave them candy anyway, but I don’t like tricks. See, someone played a trick on you right there! Naughty, naughty comment imps. My 12-year-old went with a group of friends this year, but I suggested he keep his mouth shut – he has a definite basso profundo and I thought it would raise much suspicion.